If you’ve never worried that a large mass of snow and ice has detached from a mountain slope and is sliding or falling suddenly toward you, me neither. 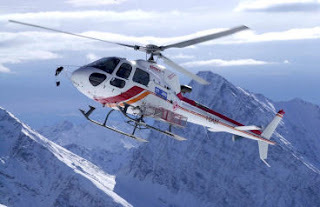 But this week I found out a former colleague running a research firm hobbies by heliskiing in New Zealand and India, where avalanches are serious risks. He got some press in Ad Age, posted it on his site, and maybe gets some buzz. Tying an analytical research product in to hip, dangerous PR thrills. Cool. 1. Why do so many other marketers not coordinate advertising media plans with PR, when it should all work together? 2. Why can’t I vacation jumping from helicopters in New Zealand?